1. Call Today - MedPro Connect's DNA Counselors will help you select the right DNA testing services to meet your specific needs. 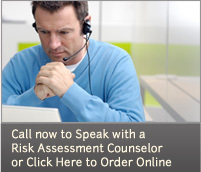 To start the process, speak with a DNA Counselor today by calling (877) 205-7836. Legal DNA Testing - all Legal Tests require that DNA samples be collected by an unbiased third-party at a local Patient Service Center. At the time of your initial call to MedPro Connect, your DNA Counselor will help you locate the most convenient center and will help you understand the process for setting up an appointment (walk-ins are not accepted for DNA Testing). Non-Legal DNA Testing - If you select our "Non-Legal" Paternity DNA Testing service, you can either visit a patient service center for DNA sample collection or we can mail you an "At Home" self administered kit. This kit contains detailed instructions for collecting DNA samples (simple cheek swabs) and then to mail the samples directly to the laboratory. Please remember - results from all "Non-Legal" Paternity DNA Tests are not admissible in court for child custody and other court-related needs. 3. Receive DNA Results - On average, Legal DNA Test results are available within 3-5 business days after all parties have completed the DNA sample collection process at a patient service center. For Non-Legal DNA Tests, results are typically available within 2-4 days after DNA samples have been collected at the patient service center (or received by the lab if you are using an "At Home" testing kit). To see if your results are available, please call (877) 205-7836 and choose the "DNA Results" phone prompt option to speak with a Results Counselor. We make sure your results are private and confidential - and can only release DNA results to the individual who ordered the tests. Ultimately, it is the laboratory director's responsibility that the results be accurate and correct!